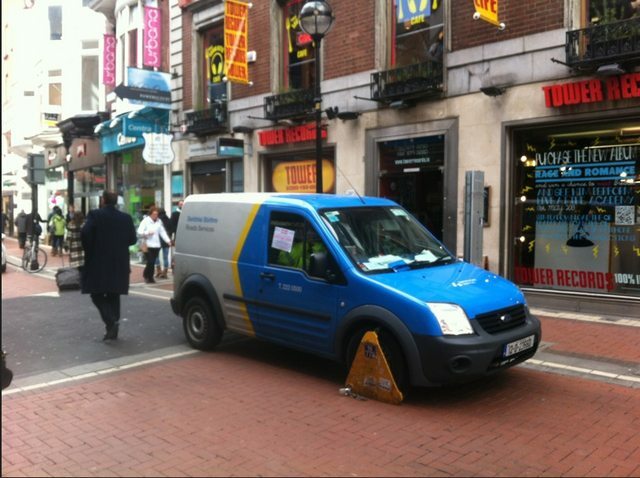 IT WAS ANNOUNCED today that the government have plans to regulate both private and public clamping companies in Ireland. Under proposed legislation, fees will be capped and motorists can seek redress. This is good news for anyone who’s ever fallen victim to the clampers and lives in fear of that dreaded yellow triangle. Before the new rules came in however there are people who have still fallen foul of those dreaded clamp merchants. Here are 11 people who we reckon aren’t the biggest fans of the clampers. How will people get their kebabs now?!? We’re sure he was delighted to happen upon this. Probably just wants to balance the karmic scale of other clampers. Or something. Email “11 people who aren't very big fans of clampers”. Feedback on “11 people who aren't very big fans of clampers”.